Google Docs. Instructions, video tutorials and links are also included. Please note these tips will focus on making documents created with Google Docs more accessible. 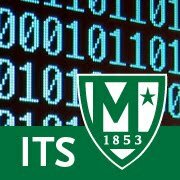 How Does Digital Accessibility Impact Manhattan College Faculty, Staff and Students? Faculty creating instructional materials and presenting lessons. Employees creating documents, forms, newsletters and correspondence for distribution. Students writing reports and preparing presentations. Outline features headers for each section of your document, making it simple to quickly jump from section to section. The outline tool collates headers from whatever you are working on, and allows you to jump quickly from introduction to index very easily. To turn on Outline view, navigate to View in task bar and select Show document outline from the dropdown menu. Paragraph headings provide context and a way to navigate quickly for users of assistive technologies like screen readers. Such technologies ignore text size and emphasis (bold, italic, underline) unless certain paragraph styles such as Headings, are used. As an added benefit, Headings can be used to automatically generate a Table of Contents or bookmarks in a document. Additionally, styles modify the formatting of all occurrences in a document, so you can quickly change the format of all Headings of a particular level (you can still override global settings by changing the format of an individual piece of text, regardless of style assignment). Headings should be selected based on their hierarchy in the document. Start the page with a heading that describes overall document content (Heading 1). Follow it with sub-headings (Heading 2) and sub-headings (Heading 3), etc.. Items of equal importance should be equal level headings, and heading levels should not be skipped (i.e., a Heading 3 can't be the first heading after Heading 1; Heading 2 can't be skipped). To make an item a heading in Google Docs, select the Styles drop-down menu, located to the left of the font drop-down menu. The Headings can also be called with keyboard shortcuts: Ctrl+Alt+1 (Heading 1), Ctrl+Alt+2 (Heading 2), etc. Change from Normal Text to Heading 1, Heading 2, or Heading 3, using the appropriate heading levels depending on your content structure (as described above). Any of the three heading styles can be used to help a screen reader navigate through the Google Docs page. Heading 1 should be used as the page title, and Headings 2 and 3 should be used as subsections and sub-subsections respectively. Include alternative text for images, drawings, and other graphics. Otherwise, screen reader users just hear "image." The Alt text for this image would be "Image of Manhattan College Campus Map with Alt text highlighted"
To find instances of color-coding, visually scan your document. You can also look for text in your document that’s hard to read or to distinguish from the background. People who are blind, have low vision, or are colorblind might miss out on the meaning conveyed by particular colors. If your document has a high level of contrast between text and background, more people can see and use the content. Like headings, using the list tools to create bulleted and numbered lists ensures that screen readers can effectively read list items. Manually inserting any of the list items will not help. Any numbered list that has multiply layers should use a different numbering scheme for each level. Use the Insert List icons on the formatting toolbar to create a list. When you highlight these items, you can see the numbered list icon is selected in the toolbar. Make sure to make your document is easy to read, not only for those with assistive technologies, but also those that don’t use them. Sans-serif fonts are considered more legible fonts for monitors than serif fonts. Color plays an important role in any document. The color scheme itself should have contrast between light and dark without going to the extreme. Too little or too much contrast can make the document difficult to read for those who are colorblind or with low vision. Certain color combinations, such as bright colors, can cause headaches and make it uncomfortable to read what has been laid out. To improve quality of navigation for assistive technologies, it is recommended to add a table of contents. Throughout the document you must designate headings, because these are what used to generate the table of contents section. Using headings is also an accessibility best practice within documents. Doing so also provides other advantages for the author including the ability to rapidly modify the overall document style without having to change each individual header. Google Docs is the widely used word processing application through Google Drive. The methods in this blog post will increase the accessibility of documents produced through Google Docs. As the program can be used in a collaborative basis, the importance of making it accessible is necessary. Participants who complete all 5 weeks of the Digital Accessibility Challenge will be awarded a Credly Digital Badge in recognition of their effort, for more information review ITS to Launch 5 Week Digital Accessibility Challenge.